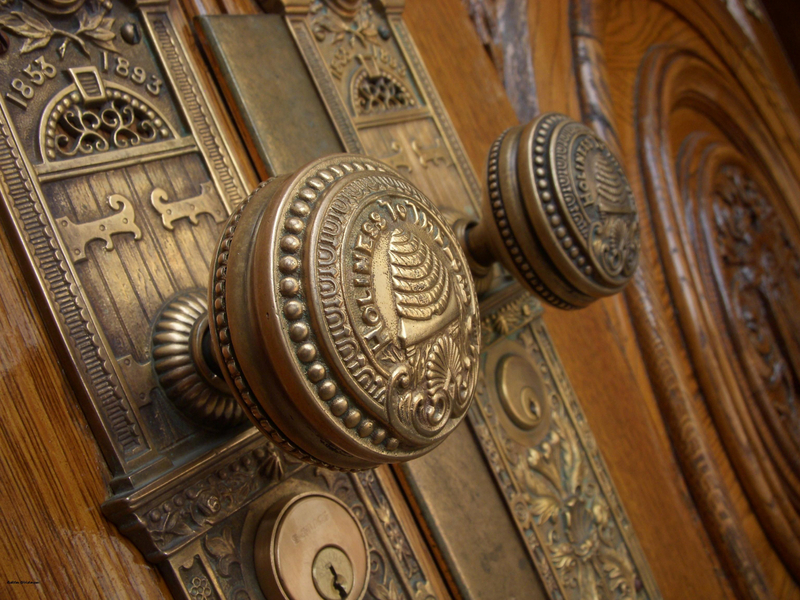 Doorknobs to the Salt Lake Temple, with beehives. Bees are an amazing queer symbol because they are gender non-conforming (as social insects, they have three gender roles), they promote alternative bonding structures (within a hive, the workers are celibate and and the queen is polygamous), and they are matriarchal (as the queen bee is at the head of everything). They definitely don’t do “one male, one female” anything! Plus, they produce honey, which shows that being part of a queer community leads to the sweetness of joy if we all work together! 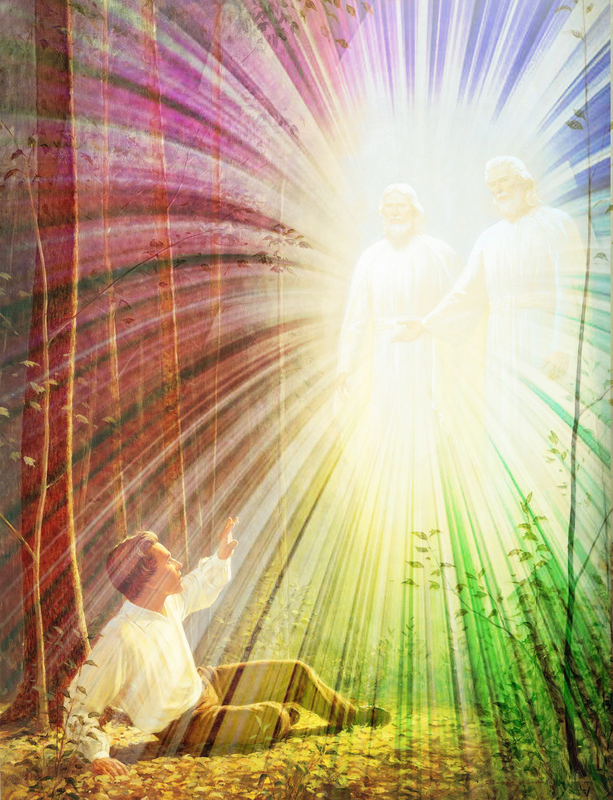 Joseph Smith experienced the First Vision when he was 14 years old. It’s not a coincidence that 14 is about the average age when many LGBT people experience our own “First Visions” — the revelations when we, for the first time in our lives, see ourselves for who we really are. The world raises us to be straight, yet one day in our early teens, as clear as the Sun, our orientations are revealed to us. That is the day we first say to ourselves, “Wow. I am gay.” On that day, like young Joseph, we see God’s plan for our lives. God ends our confusion. God tells us not to join what we see around us. God calls us to be different. Like the young Joseph, we see a truth about ourselves and our world that we fear no one will believe. But sadly, when we as vulnerable teenagers tell our friends, family, and communities about our own personal First Visions, we experience the same response that Joseph Smith had — disbelief, denial, and persecution. Even from those we trust. When Joseph came out to his community about his precious First Vision, he reports that he was “persecuted by those who ought to have been my friends” (Joseph Smith—History 1:28). If you believe Joseph’s First Vision, I challenge you to believe mine as well: that I am meant to be gay. I have a great home in a great ward on the East Coast. I love the community, spirituality, and teachings of this Church. It’s an amazing platform from which to share the surprises of the restored gospel with a world that desperately needs Christ’s gentle love. I’m a strong advocate for The Church of Jesus Christ of Latter-day Saints, and an important part of the name of the Church is “Latter-day,” because we are not a backwards church or an obsolete church. Our thinking is never outdated, as we have a living prophet, and we have continuous revelation from the Holy Ghost to every member of the Church from the new member to the current prophet. Latter-day Saints will have latter-day thinking, and we will not fall prey to the racist, sexist, homophobic, transphobic, and ableist influences that we can easily absorb from other sources centuries ago. Please prayerfully consider everything I have to share with you. The Spirit blows where it wishes (John 3:8) and you may be surprised where the Spirit is leading us. The wind blows in unpredictable ways, so we must always be prepared for the next new twist that the untamed Spirit has in store for our Church. Our little Church has always thought outside the box. So, welcome to Latter-day Thinking!